Based on the megatrends, our focus areas, and the market trends we anticipate, our strategy concept comprises four key elements as illustrated in the following chart: Our vision and mission; 8 strategic pillars that define our strategic scope for action for the next several years; our Excellence program “Agenda 4 plus One” with 20 strategic initiatives with which we plan to implement our strategy; and our Financial Ambitions 2020. Strategy ‘Mobility for tomorrow’ means for us: 4 focus areas, 8 pillars and 20 strategic initiatives. Strategy begins with a vision. It is from a vision that we define the model by which we choose to be guided, the standards that we set for ourselves, and the contributions we strive to make. A strategy becomes understandable when it clearly defines and describes the scope for future action. It should do so in a manner that is clear and easily understood. We have therefore agreed on eight strategic pillars that constitute the basis for the continuous further development of the Schaeffler Group and at the same time describe what we wish to achieve or further improve in the future. Each of these pillars has its own justification and reasons. At the same time, it is our conviction that all eight pillars together create a strong foundation on which to lead the Schaeffler Group successfully into the future. Only those with a precise understanding of their customers’ requirements can offer tailored solutions. For many years now our comprehensive systems knowledge, cutting-edge technological expertise, and unwavering commitment to customer service have made us a highly sought-after development partner for our customers in the automotive and industrial sectors. Why is this the case? It is because we center our efforts on our customers and their needs. As a technology company, we have decided in the future to focus even more intensely on the needs of our customers and shape the “Mobility for tomorrow” together. 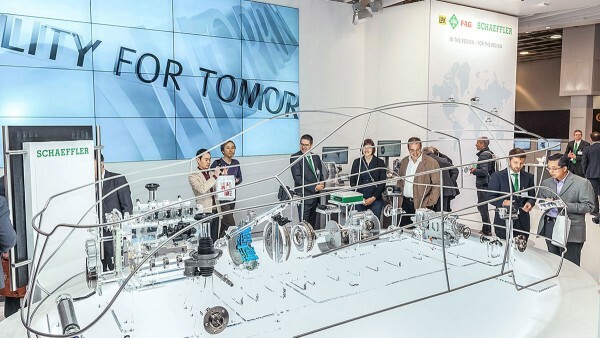 For us at Schaeffler, the customer takes center stage. We intend to make a lasting contribution that will make our customers even more successful. 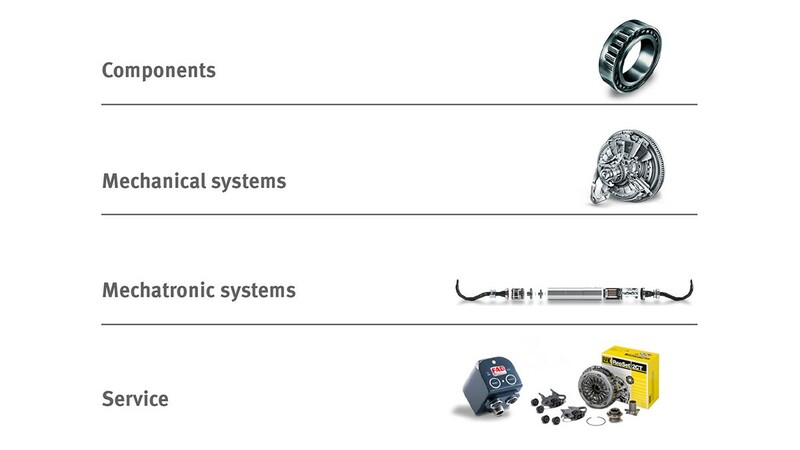 The Schaeffler Group is often thought of as purely an Automotive supplier. This is not at all the case. We are an Automotive and an Industrial supplier. For us, the two divisions belong together. For one thing, they make common use of a global platform of factories and production facilities. Another aspect that unites them is our worldwide manufacturing excellence and first-class steel processing capabilities. And it makes no difference whether we happen to be manufacturing roller bearings or engine components. At the same time, central coordination of all research and development activities, a solid basis of expertise (for example, in surface technologies), and our global research network are helping us to strengthen our innovative capabilities and promote product and technological innovations that cut across industries. We apply expertise gained in the industrial field – examples of which include special steels and ceramic rolling elements – for our automotive business as well. This division, which is managed by our production, logistics, and purchasing board, delivers roller bearings to both Automotive and Industrial. This enables us not only to create uniform standards, but also to leverage the resulting synergies, ensure value-added outcomes, and apply flexible capacity utilization. We see this also, of course, in the joint purchasing of materials and raw materials, where we take advantage of economies of scale. In the future we also plan to step up, more than we have in the past, the exchange of personnel between the two divisions. The success of the Schaeffler Group is always the joint success of both divisions. We make a conscious effort to promote cooperation across divisions. This holds especially true for our roller bearing business. By doing so, we not only raise synergies but also promote valuable know-how transfer. As a partner, we try to be in close proximity to our customers. With more than 170 locations worldwide, 75 production facilities, 17 research and development centers, and a tight-knit sales and service network, we ensure that our customers always find us close at hand – true to our guiding principle: “We are a global player with local presence”. For only those who recognize and understand the challenges confronting their customers can develop tailored solutions. And only those who maintain a local presence are able to respond quickly. We generally divide our business operations into four regions: Europe, America, Greater China, and Asia/Pacific. Each of these regions is managed by a Regional CEO who is represented on the Executive Board of the Schaeffler Group. This organizational arrangement allows us to provide better and more flexible management in the regions and facilitates cooperation with regional customers. In this context, the proactive localization of activities in future markets constitutes one of the key challenges in the implementation of our strategy “Mobility for tomorrow”. It also demands that in future we think even more deeply in terms of global connections and delegate responsibility away from central headquarters. Our products have always facilitated and promoted mobility: They have contributed to the development and improvement of automotive drive trains and other means of transportation. We supply components for bicycles, rail, and aircraft. We are present wherever something moves or turns. At the same time, we are a supplier that understands and is able to deliver complex modules and complete system solutions. Today we are seeing an ever more frequent merging of mechanical and electronic components into larger mechatronic systems that require complex control software. We aim to further develop our expertise in this area, without neglecting our components business. We value both business segments equally. And for good reason: Those without expertise in components will not be able to handle the system. As a leading technology partner, the Schaeffler Group began engaging in the topic of E-Mobility some years ago. We therefore created the E-Mobility systems department, in which we bundle together our multi-functional activities relating to alternative types of drives from across corporate divisions and national borders. We thus pursue a holistic approach that integrates our Automotive and Industrial Divisions. And, in research institutions such as the “Schaeffler Hub for Automotive Research in E-Mobility” at the Karlsruhe Institute of Technology, engineers are working to promote technology transfer between the academic world and our company by pursuing an intensive program of research into the solutions that will shape the mobility of the future. With our solutions for the electrification of vehicle drive systems, we focus on both products for hybrid vehicles as well as purely electric-driven vehicles. Our developing product portfolio encompasses modular solutions for P2 hybrid systems (the electric motor is positioned between the combustion engine and transmission) as well as electric drive axles based on 48 V and high-voltage solutions up to 800 V, through to our research on integrated, innovative electrical wheel hub drive systems for autonomous urban taxis. We have already been testing the majority of these solutions in concept vehicles and prototypes in various markets. A special highlight is that we have exclusively developed the electric drive train of the Formula E racing car for the only German team, the “Abt Schaeffler Audi Motorsport” team. 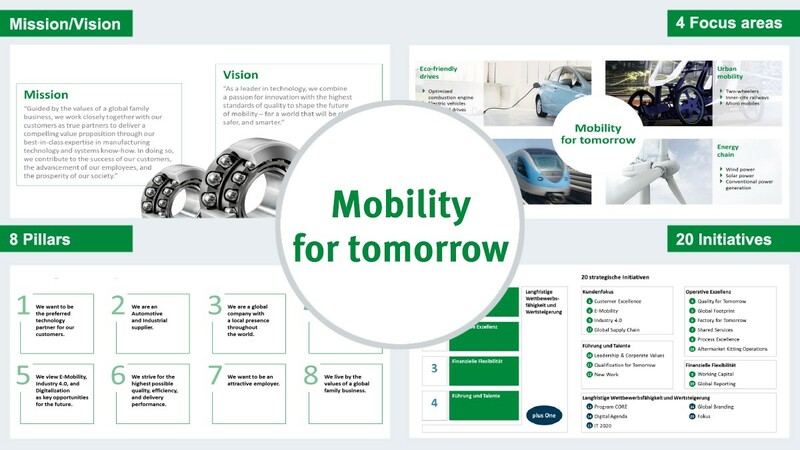 As part of our strategy “Mobility for tomorrow”, we aim to considerably expand our “E-Mobility” segment, in which we include both automobiles with a hybrid drive train and fully electrical vehicles. It is an area in which our holistic understanding of systems puts us in good standing. Our E-Mobility activities in the Automotive Division are complemented by “Industry 4.0” in the Industrial Division. Today we are witnessing what is being referred to as the “fourth industrial revolution”, and it is having in particular a massive impact on the future of production companies. 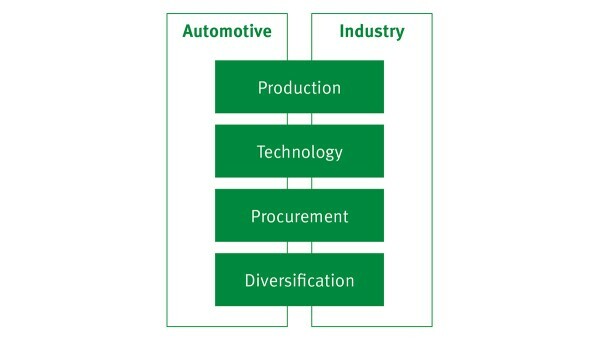 “Industry 4.0” stands for intelligent networks that interconnect product development, production, logistics, customers, and suppliers. Its technological basis is intelligent, digitally linked systems that maximize the possibilities for autonomous production: People, machines, systems, logistics, and products communicate and cooperate with one another directly. As a supplier, we wish to take an active role in shaping this development for our customers. We are involved wherever something turns or primary data can be harvested. 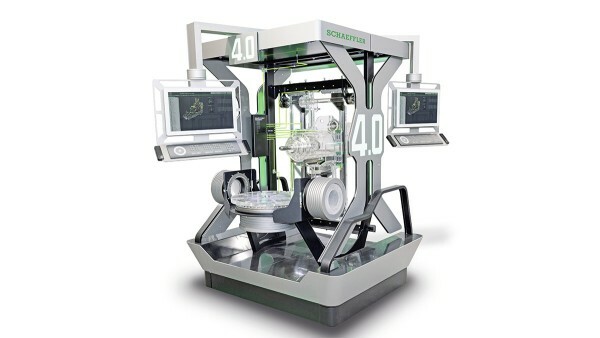 An example of this is our “Machine Tool 4.0”. Equipped with several dozen sensors, the lathe and milling center collects a large amount of data. It is a practical realization of the productivity enhancements that are made possible by the increased interconnectedness of machines and production facilities. And we use these same machines in our own production. The next step is to design a mass-produced Industry 4.0 machine. In addition to production technology, Industry 4.0 involves the digital networking of the components and systems our customers use. In this way, for instance, anti-friction bearings can be continuously monitored in wind turbines or high-speed trains, and operation optimized on this basis. The third topic, that of “Digitalization”, connects both divisions. As already explained in our analysis of current trends, we assume digitalization will significantly transform the entire economy and its traditional processes. The convergence of the real worlds will produce new business models and a lasting increase in value creation. These are opportunities we want to take advantage of. We have therefore developed a “Digital Agenda” that comprises five key elements and is a pivotal component of our Excellence program “Agenda 4 plus One”. 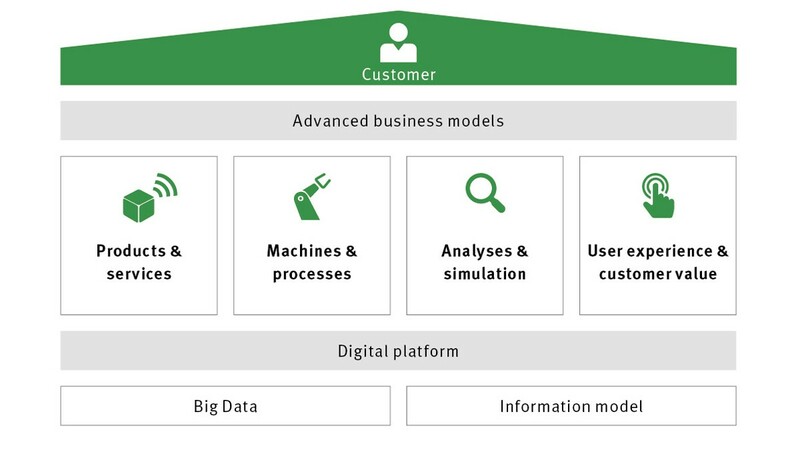 Among these key elements are: Products & services, machines, processes, analyses & simulation, and user experience. With our Digital Agenda we are concentrating both on internal processes and on products and solutions for our customers. It is not only internally that we aim to increase the efficiency of our processes, use available data more intensively, and more effectively link production locations, machines, and buildings. We also aim to expand on our customers’ existing business models and help them develop new ones. 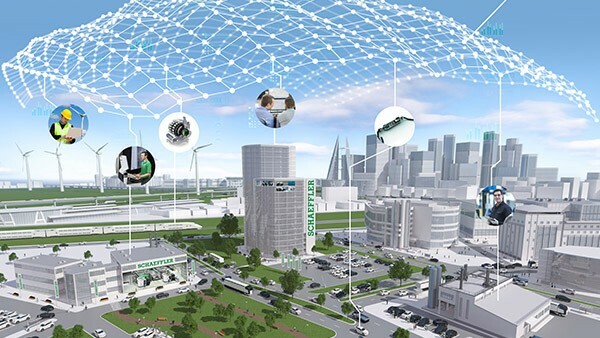 We have set up a new department – the Digitalization Coordination Office – to promote and drive Digitalization within the Schaeffler Group. We are aware that we must work together with other partners in shaping future technologies. A good example of that is the partnership with IBM established in 2016. Anyone who aspires to actively participate in the digital age has to be open to new ideas. This also applies to other potential collaborations and partnerships. Our strategy is consciously directed towards the long term. We want to actively shape the future of mobility. To achieve this we look mainly to future E-Mobility, Industry 4.0, and Digitalization. 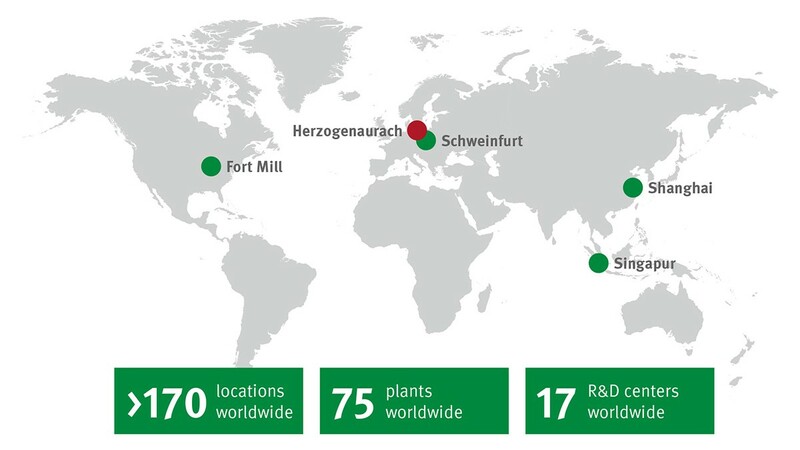 One of the guarantees for the Schaeffler Group’s success is its unique global footprint, currently numbering 75 production locations worldwide. Quality is of paramount importance for us. It has always been our goal to consistently ensure high quality and product safety in all applications. Globally standardized quality management ensures compliance with high standards and the fulfillment of high efficiency and quality demands at all of our plants. We have widened the scope of quality to include two additional aspects: Efficiency and delivery reliability. Through the use of advanced technologies, we are able to achieve continuous cost and efficiency improvements. At the same time we strive for even better, synchronized control, capacity utilization, and optimized logistics. Our goal is to serve our customers at all times with superior reliability – both in the original equipment business as well as in the aftermarket. The basic principle of “Quality, Cost, and Delivery” – abbreviated as “QCD” – is firmly anchored in all of our plants throughout the world today. We are supported here by our MOVE organization, through which we drive the “lean” philosophy in the company. We want to make stronger use of these approaches in our indirect areas. Our employees are vital for guaranteeing the success of the Schaeffler Group. Identifying, promoting and retaining the best team for the Schaeffler Group in the long term is crucial for the successful realization of our strategy. We are already a popular employer today – as confirmed by several awards. The preeminent employer ranking institute in Germany, trendence, lists Schaeffler as one of the most popular employers among engineering and business students. Students and graduates alike value the core elements of our corporate culture, including team spirit and career development opportunities. From an international point of view, Schaeffler is also well-positioned as an employer. In the US, we were awarded the “National Business of the Year 2014” for outstanding performance with a positive impact on the company’s employees, its industry, and society. In China we have been awarded “China’s best 100 HRM (Human Resources Management)” as well as “Top 100 Best Employer China” – among other reasons due to the German dual system of training, which Schaeffler introduced to China nearly ten years ago. The megatrends we have already mentioned will fundamentally change the working world of the future. Globalization, individualization, and demographic change pose great challenges to us, but also offer a wide range of opportunities. We have to take appropriate action now in order to secure and strengthen our attractiveness as an employer. A decisive success factor in the competition for talent is providing a flexible work environment and practices in order to meet the expectations younger generations. We are not only concerned about new employees here. We want to be an attractive employer for all of our employees. For the young and more senior, for those in Germany and all other countries. We have therefore deliberately made the theme of qualification and training one of our strategic initiatives as part of the Excellence program “Agenda 4 plus One”. And for good reason: Only by continuing to learn with and from each other will we assert ourselves as a leading technology company. The Schaeffler Group is a listed family business. A company with a strong foundation of values, established by its founders. In addition to the unconditional desire to succeed, the corporate culture of the Schaeffler Group is also about the willingness and ability to challenge ourselves to try something new, including taking a long-term perspective. We also strive for the highest quality and first-class technology. We have summarized these aspects in four core values: Sustainable, innovative, excellent, and passionate. 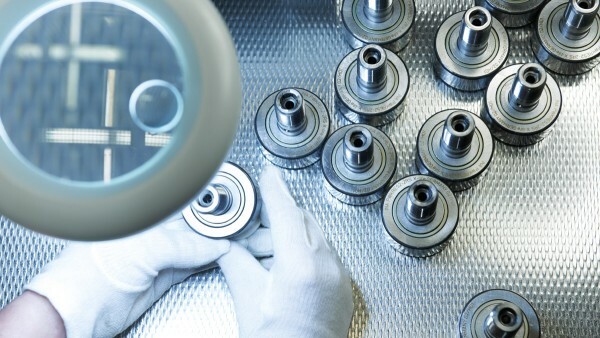 The Schaeffler Group is a global family company with more than 85,000 employees. Four core values connect us worldwide: Sustainable, innovative, excellent and passionate. These values, which will be globally rolled out and embedded as part of our Excellence program “Agenda 4 plus One”, form the basis for the continued success of the Schaeffler Group. We intend for these values to create trust, connect people around the world, and enable us to work together as a global family. This works for the benefit and in the interest of all: Our customers and business partners, our employees and managers as well as our shareholders and family shareholders. A long-term view and continuity will foster the growth of the Schaeffler Group, thereby enabling a future worth living. For (nearly) every problem there is a solution. If not, we will create one! We develop solutions that are of the highest quality based on our extensive expertise. Our biggest driver is our passion for innovative technologies and joint success with our customers.